The origins of this work date back to 1988, when I was commissioned by the Royal Shakespeare Company to write the music for The Plantagenets trilogy, directed by Adrian Noble in Stratford-upon-Avon. These plays take us from the death of Henry V to the death of Richard III. Later, in 1991, I wrote the music for Henry IV parts 1 and 2, again in Stratford. All of these plays are concerned with the struggle for the throne, and they portray one of the most turbulent periods in the history of the British monarchy. 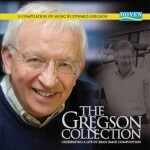 Much of the music used in these productions was adapted into two large symphonic suites for wind band – The Sword and the Crown (1991) and The Kings Go Forth (1996). An Age of Kings is a new version for brass band incorporating music from both the symphonic suites for wind band. 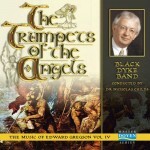 It was specially composed for a recording made by the Black Dyke Band, conducted by Nicholas Childs, in 2004. An Age of Kings is music on a large-scale canvas, scored for augmented brass band, with the addition of harp, piano, mezzo-soprano solo, male chorus, as well as two off-stage trumpets. The music is also organized on a large-scale structure, in three movements, which play without a break – “Church and State”, “At the Welsh Court”, and “Battle Music and Hymn of Thanksgiving”. The first movement, “Church and State”, opens with a brief fanfare for two antiphonal trumpets (off-stage), but this only acts as a preface to a Requiem aeternam (the death of Henry V) before changing mood to the English army on the march to France; this subsides into a French victory march, but with the English army music returning in counterpoint. A brief reminder of the Requiem music leads to the triumphal music for Richard Plantagenet, Duke of York, father of Edward IV and Richard III (the opening fanfare transformed). However, the mood changes dramatically once again, with the horrors of war being portrayed in the darkly-drawn Dies Irae and Dance of Death, leading to the final section of the first movement, a funeral march for Henry VI. The second movement, “At the Welsh Court”, takes music from the Welsh Court in Henry IV part 1 with a simple Welsh folk tune sung by mezzo-soprano to the inevitable accompaniment of a harp. This love song is interrupted by distant fanfares, forewarning of battles to come. However, the folk song returns with variation in the musical fabric. The movement ends as it began with off-stage horn and gentle percussion. The final movement, “Battle Music and Hymn of Thanksgiving“, starts with two sets of antiphonally placed timpani, drums and tam-tam, portraying the ‘war machine’ and savagery of battle. Trumpet fanfares and horn calls herald an heroic battle theme which, by the end of the movement, transforms itself into a triumphant hymn for Henry IV’s defeat of the rebellious forces.